Yellowknife Experience – The Great Canadian Travel Co.
Yellowknife, capital of the Northwest Territories, is a thriving, metropolitan, northern city. It is a growing, pulsating community that has created its own vibrant culture. Prices are shown in CA$, per person based on two people sharing a twin room. Many tours require a minimum of 2 or 4 participants, therefore tours for single travellers are on request, subject to tour availability on the dates of travel. Private tours may be booked at an additional cost to guarantee touring options. Enjoy the Northern hospitality aboard your flight of choice from Edmonton, Calgary or Vancouver (we can assist with flight reservations, as required) before landing, transferring downtown and getting settled in to your hotel. No stay in Yellowknife would be complete without a city tour of the town itself. Yellowknife has some amazing stories of adventure, discovery, greed, and incredible survival woven into its past. Culminate your historical tour by adding on a stop at the Oldtown Glassworks where you can take a sand-blasting workshop, creating your own unique glass piece to take away with you. Advance reservations are required, so please ask us to add this in should you want to take part and create your own signature souvenir. End your tour in the town centre. There’s a lot to look at, and a great place to start to get oriented is the Northern Frontier Visitor Centre. 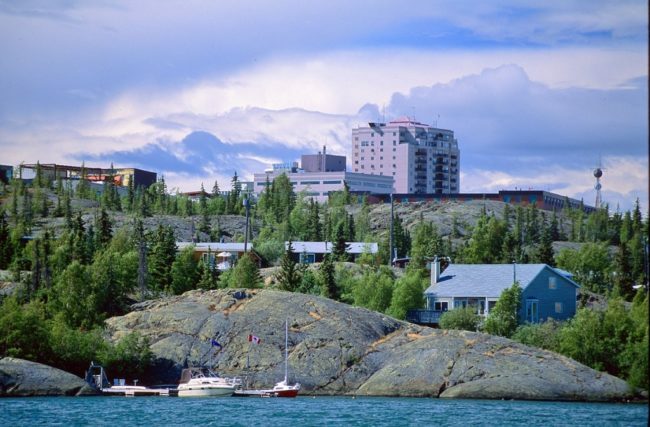 Here you’ll find extensive information about what’s on offer in Yellowknife. Perhaps you feel like stretching your legs after the flight yesterday. 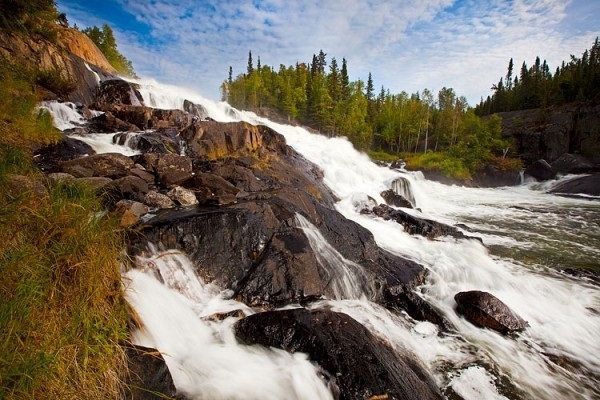 Yellowknife has several great hiking trails, and one that we like in particular goes out to beautiful Cameron Falls. A local guide can provide interpretive information and bring along a homemade lunch, as well as stopping off at a historical site along the way. 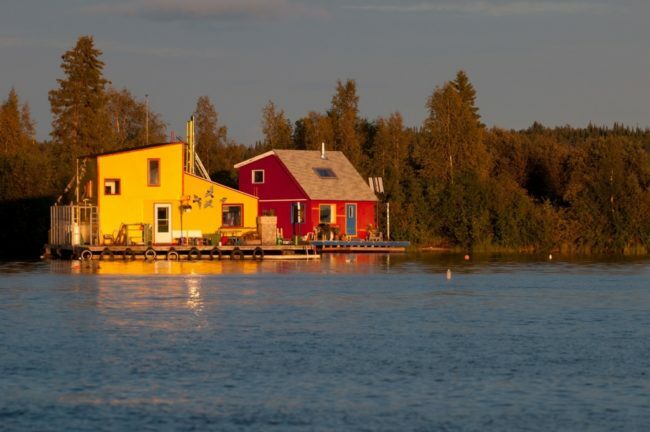 Alternatively, there are options to go and explore Great Slave Lake with a Birding and Photography tour, including a delicious shore-lunch, take a fishing excursion and try your hand at catching dinner or rent a kayak or canoe and go for a paddle. Another wonderful option that we love is a bus trip down to wood-bison habitat. Interpretive information is provided, and you get the chance to see these majestic, powerful beasts in their natural environment. Not something you see every day! Today is a free day until it’s time to catch the transfer back to the airport to board your flight back south or onward to your next northern destination. Explore the city, have a meal at one of the local restaurants or cafes or do some last minute shopping. If you’re on an evening flight you may want to do another tour today out on the land or water. Whatever you decide on, we’re sure you’ll take lots of wonderful memories back home with you! Our Yellowknife Experience program is designed as a base to get you started on your northern adventure. It’s a framework to which we can add anything and everything you need to make your vacation truly yours. Located 400 km south of the Arctic Circle in the heart of the Canadian Shield, Yellowknife is remote but has all the amenities of a modern city. You’ll be able to touch the wilderness of Canada’s north, and also enjoy the unique hub of humanity that has sprung up in the midst of nature’s splendour. Yellowknife is also one of the best places in Canada to view the northern lights during the aurora season, and the option to extend your stay with a night or two in a quiet cabin with the aurora borealis flickering overhead makes Yellowknife a totally unique city break! 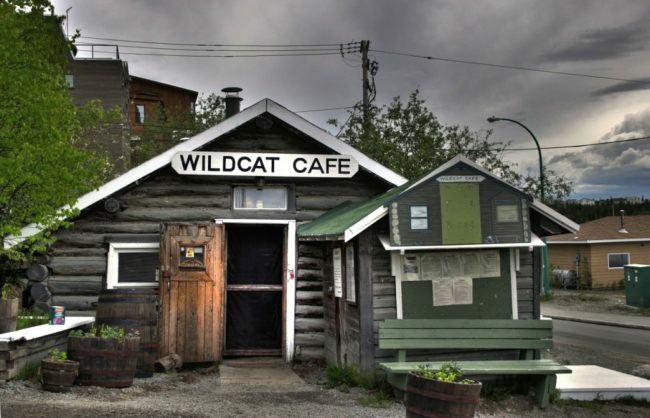 Yellowknife’s rich history still echoes in its streets. It’s easy to imagine the gold-fever that was the centre of the settlement for so many years, and feel the tangible excitement that the undiscovered prospects of the enormous northern wilderness offered to those who dared seek it out. You might think that Yellowknife’s penchant for precious products was over with the waning of gold production, but it is not so. In recent years the hunt for value in the landscape has been renewed with the discovery of diamonds in nearby hills! Yellowknife has something for everyone! Aurora Borealis hunters should look no further, Yellowknife is known for exceptional aurora viewing. It’s also a great spot if the thought of sitting quietly with a book in the evenings doesn’t appeal – Yellowknife has arguably the best night-life in the north, both in town and out! 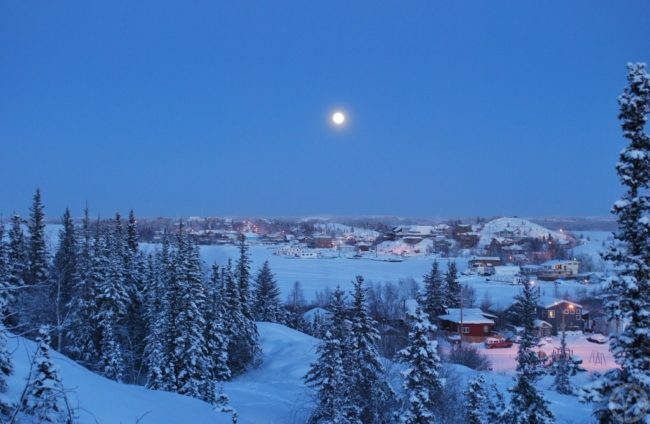 Families with young children who are looking for a more varied selection of northern options, and anyone interested in the history of the Northwest Territories will all find Yellowknife a fabulous destination. 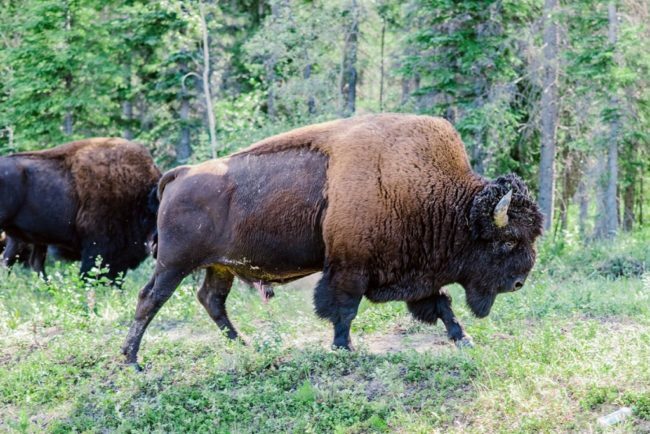 There’s plenty of wildlife, including the wood bison, nearby, and Great Slave Lake provides a variety of fishing and sightseeing options. And of course for fans of the hit TV show ‘Ice Road Truckers’, Yellowknife in winter is the heart of ice-road trucking territory. 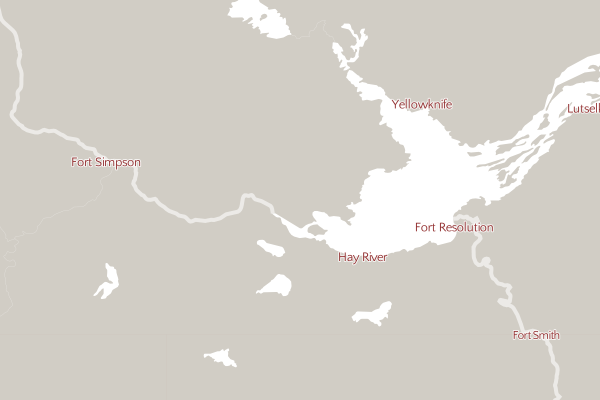 If I chose to travel to Yellowknife, what might my trip look like? Remember, what follows is just a flavour of the activities available in Yellowknife. If you don’t see what you’re looking for, contact us as we may well be able to make it happen for you. When should we go to Yellowknife? We’ve mentioned all of the options above and not even touched on fall, winter and spring yet! Yellowknife has something going on all year round. Contact us to discuss when would be the best time to visit for your particular interests and enthusiasms. Fall, winter and spring options: You can use your evenings to get out of the city and search out the northern lights. Tour options are varied, but one of our favourites involves riding a snowmobile or quad (depending on the season) out to a remote cabin in a nearby region of the boreal forest. Upon arrival you’ll spend the evening with a cosy fire, hot chocolate, and homemade snacks while nature’s greatest light show plays overhead. Of course, as with all things in Nature, an appearance of the Aurora Borealis is never guaranteed, but you will have two more evenings to watch for them to make a visit. Other winter activities can include dog-sledding, snowmobiling, ice-fishing, and cross country skiing. 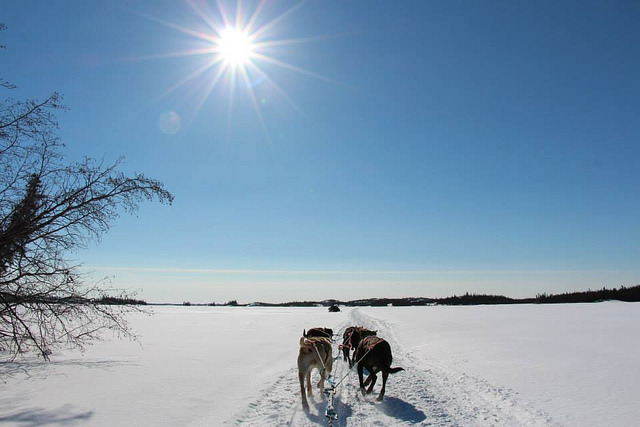 Seeing the aurora over a wintery landscape of soft snow and frost-laden trees is particularly magical, especially when you arrived with the soft swish of runners and gentle padding of canine paws that accompany travel by dogsled. How long should we visit Yellowknife for? That all depends on how much time you have! If you want the chance to experience what is on offer then move on, or combine this destination with other Arctic communities, then two or three days could be best. 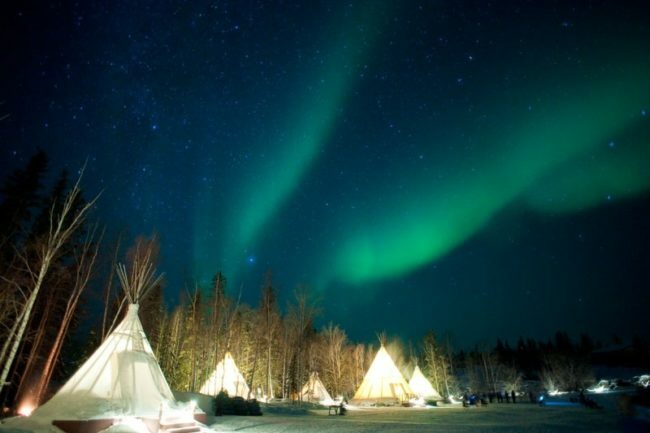 Yellowknife makes a great stopover destination to take in the culture and the northern lights. However, there is more than enough on offer to make Yellowknife great for longer trips too. Contact us so we can help you decide what the best option for you are. Please note, many tours require a minimum of 2 or 4 participants. For single travellers especially, some tours may not be available unless a private tour is booked and the additional cost paid. This would guarantee your touring options. For parties of 2-3 people we may have to substitute some tours for others that will operate with less than 4 participants.